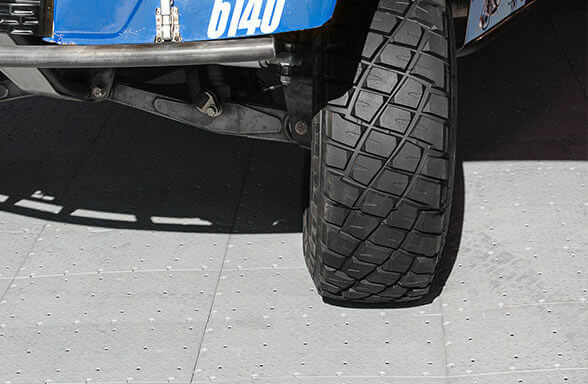 The newest product to the tent and event line-up ensures smooth coverage of tough terrain without damaging turf or natural grass. 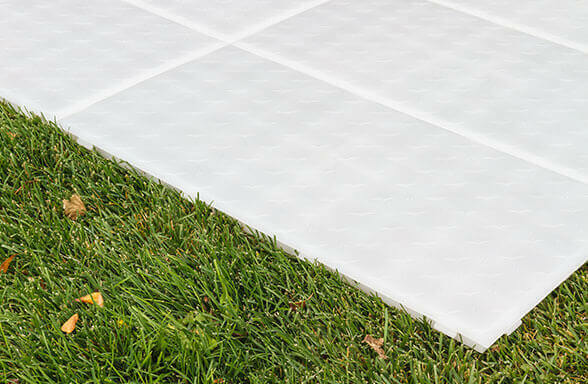 This lightweight, all-weather flooring system is reliable and easy to install. Our easy-to-use positive locking system allows you to create a raised, slip resistant surface, stable enough for foot traffic, chairs, and tables. The grass really is greener on the other side of FastDeck 2.0—our patented translucent formula is forgiving to the ground beneath, allowing water and light to pass through and keeping grass or turf healthy throughout the duration of deployment. The tried and true original version of FastDeck has proven itself as a top solution for temporary event flooring. Stadiums, arenas, wedding venues and more have chosen FastDeck for its easy but tough Socket Locket system and durable design. Mud, gravel, grass, you name it—FastDeck easily converts uneven surfaces to a steady, walkable surface—perfect for tables, chairs, and walkways. 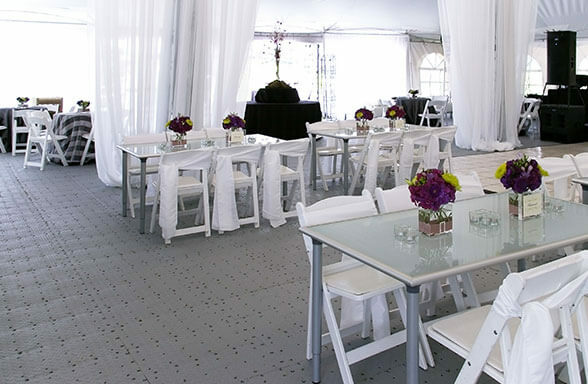 FastDeck offers a quick deployment and a firm, slip resistant, draining surface to protect the surface below and keep event guests high and dry.